If you are already teaching and want support for further education or teaching materials, there's money available. Here are some examples. Up to four years of undergrad or two years of masters degree study leading to physics teaching at up to $4,000/year. Financial need is not necessary (but FAFSA completion is), and this grant is actually a FORGIVABLE LOAN with a service obligation: The recipient is expected to spend four years teaching in a high needs school within eight years of completing the degree program. Part time students are eligible (pro-rated) and a gpa of 3.25 is required.  More information at the Department of Education website and Buffalo State Financial Aid Office. Most U.S. school districts are eligible for USDOE local Title II funds to purchase training materials, and to support teachers earning advanced degrees that enable teachers to provide more effective instruction in core academic subjects. You must press your administration to file for such support; see the detailed materials at the ASU modeling physics project. That ASU modeling physics website also lists summer workshops for physics teachers, usually awarding graduate credit. Frequently multi-year or institutionalized efforts repeated year to year. Such are routinely published in AAPT journals such as the Physics teacher and on the AAPT homepage. A database of funded research experiences for physics teachers is maintained by the Physics Teacher Education Coalition (PTEC); click on opportunities and search by region.